As a testament to the growing pomegranate trend, PAMA Pomegranate Liqueur was included in Entrée, New York and New Jersey 's food industry magazine, as a top pick in 2006, as well as predicting that PAMA will have a major impact in the Metro New York on-premise market for this year. 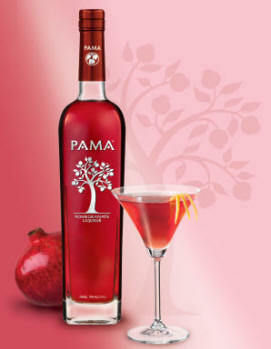 PAMA" Pomegranate Liqueur, is bottled at a moderate and mixable 34 Proof (17% alcohol by volume). More information on the brand and on pomegranates is available at www.pamaliqueur.com.